We are pleased to announce and formally invite you to the 2019 European Gyrolab Seminar in Milan, Monday June 3 to Tuesday June 4. This year the Gyrolab Seminar hosts independent speakers from the biotherapeutic industry, presenting the latest papers, applications and advances using Gyrolab nanoliter-scale immunoassay technology. 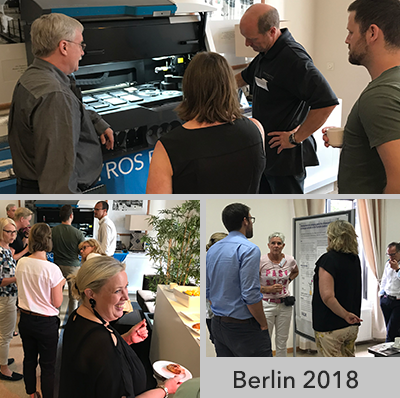 Attendees are a mix of existing users and those who simply wish to find out more about Gyros Protein Technologies and immunoassay advances. Network with others within CRO, CMO, Pharmaceutical, Biotech and Academic organizations. The meeting will start 11:30 with a light lunch on Monday 3 June, and end at 4:00 PM on Tuesday, 4 June. Please send an e-mail to information@gyrosproteintech.com if you are interested in presenting at the seminar. We need your abstract by May 20, in order to send the abstract booklets to the printer. 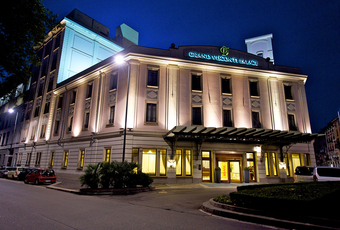 Send an email to events@grandviscontipalace.com refer to "Gyros event". Includes 30 minute presentation and/or poster, one and a half days conference, meals and one hotel night (Monday, booked by us). Includes one and a half days conference, meals and one hotel night (Monday, booked by us). Terms and Conditions: All registrants will be invoiced via e-mail. Please contact maritha.lundin@gyrosproteintech.com if credit card processing is the only option for payment. Delegate registrations are binding but transferable.